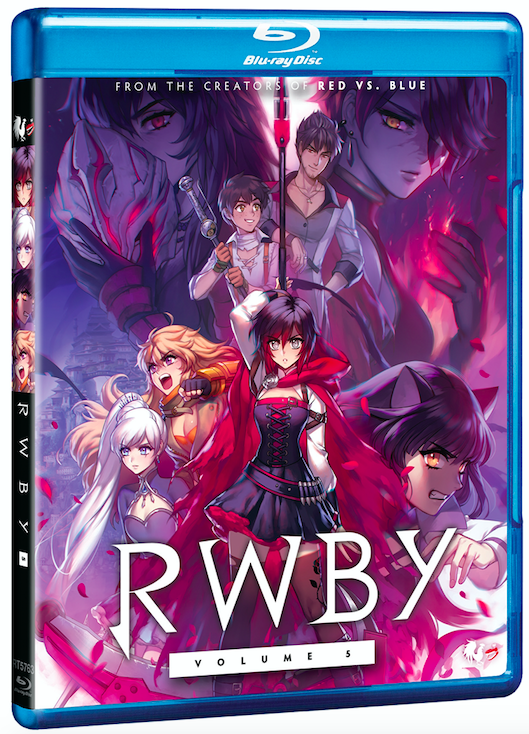 RWBY - Volume 5 Hitting Blu-Ray And Digital June 5th - Are You Screening? Anime phenomenon RWBY is coming to Blu-Ray, DVD and Digital June 5th, and while many of the show’s biggest fans may wonder at the release (because they can – and do – watch it online all day long), the release comes with some great bonuses and the ability to watch anywhere… well, more anywhere… or whatever. Of course, that’s not counting the Special Edition Combo Pack with 32-page RWBY Official Manga Anthology Sampler. Over the course of the series, RWBY almost immediately rocketed to its current status as one of the most celebrated anime series around with some of the most loyal, engaged fans out there. The latest series mixes things up a bit, with Ruby, Weiss, Blake, and Yang off on their own adventures, but the show is still alive with everything that pulled people in from the beginning. You can obviously catch the show – all the better to become hooked and need to own it – at RoosterTeeth.